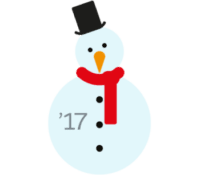 Very few of us are ready to start thinking about winter (especially those of us who live in the Midwest) but for all the Salesforce Administrators out there, it should be on your radar. The Winter ’17 Release from Salesforce is coming this fall and here are the milestones and resources to ensure that your organization is ready come October. 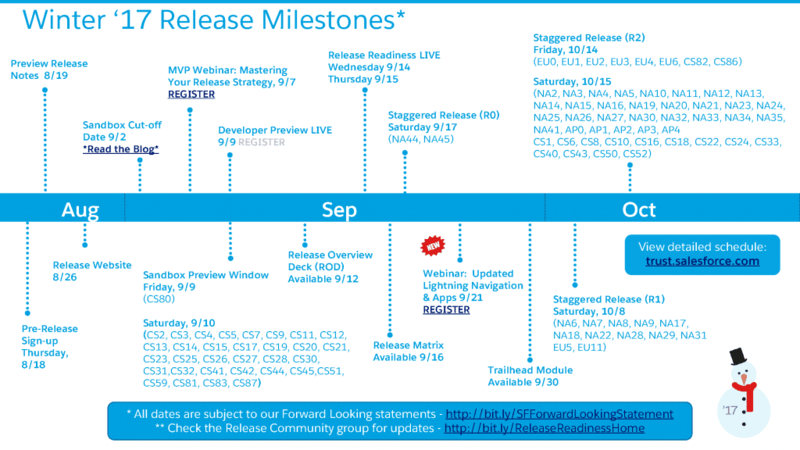 If you are not familiar with the Release Readiness and Feature Adoption Group on the Salesforce Success Community, it is a great place to receive updates and ask questions of your peers. As we draw near, Ledgeview Partners will continue to provide information and can help you prepare for Winter ’17.